B'nai Mitzvah photography at Temple Or Elohim Jericho, Long Island. B'nai Mitzvah refers to twin brothers. 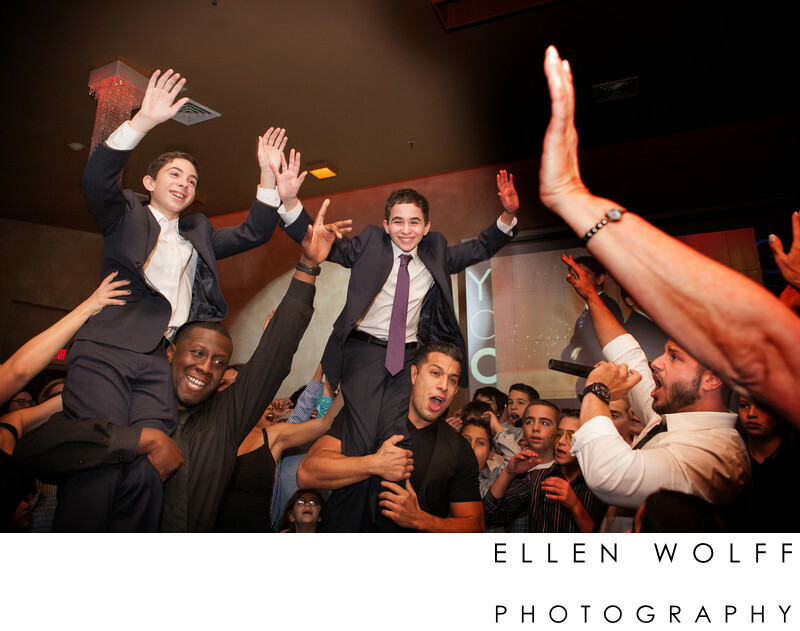 These brothers had an epic b'nai mitzvah reception at Temple Or Elohim. As you can see they had a rock star grand entrance. Party Harty Entertainment brought their best MC. I love working with them they are true professionals. The brothers were carried in on the shoulders of 2 really strong dancers. And the MC whipped all of the guests into a frenzy so when the boys came into their reception everyone was screaming and clapping. It was the best. And made for an unforgettable entrance.